If you have been homeschooling for a while, you know that it is a full-time job. However, it can be done. It just takes a little creativity and time management. I believe the key to managing your time as a homeschool mom is finding a routine that works for you. Notice I didn’t say to copy mine, or that other blog you follow, or the routine of your homeschool bff. I said to find a routine that works for you! There are two main parts of your life that will need a routine. Your homeschool, and your home. Let’s start with your homeschool! As a homeschool mom, your #1 job each day is to make sure school actually gets done. The key to doing this lies in 3 words. Make sure that school is on the schedule each and every day. If you physically went to work each day you would have to be there on time. The same can be said for your job as a homeschool mom. It is a priority and it needs to be treated as such. Now, how many times have you been in the middle of school and the phone rang, or you got an important email, or life happened? Yea, me too! BUT, as homeschool moms, we need to be fully engaged in school. That work email can wait, the laundry can wait; because while we are homeschooling our kids, we need to truly focus on that job—being a teacher. That is the ONLY way (in my opinion) to ensure that school actually gets done. Laundry, Dishes, and More, OH MY! 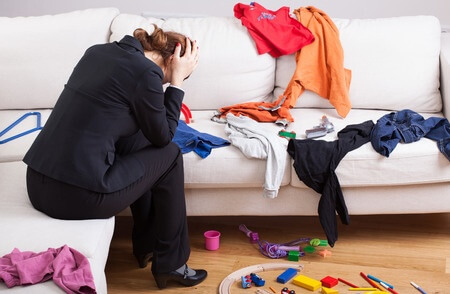 Managing the home is an area that most women struggle with, regardless of their job status or method of educating their children. As a homeschool mom, managing your home will be even more difficult than it would be if your kids were in school. Sorry, but it is true! However, managing our homes well is possible; it just takes some work and planning ahead. One of the first things you will need to do is realize that you cannot do it all on your own–and you shouldn’t have to! If you have children over the age of 5, then you have built-in helpers. Literally! Read more about getting the kids involved in this post! The next step is to find a routine for your days. This will help you know what comes next, and will help you find time to attempt to get it all done! I recommend writing down the hours in a day and then making a note next to each block what you could be doing during that time. I encourage you to think about how your days go normally. You may be surprised that there is already some sort of routine there. Routine is crucial to managing your time as a homeschool mom. Without a good routine you can become burnt-out very easily and may end your day feeling like you’ve accomplished nothing. 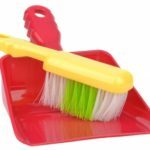 When my kids were younger my cleaning routine consisted of days where I cleaned each room in the house (bathrooms Monday, floors Wednesday, etc). But now that my kids are older, and they help more, it is much more relaxed. You can read more about how I ditched my cleaning routine and what I do now in this post! The key is to find a homemaking routine that works for you and then manage your home to the best of your ability. Feeding our family a healthy dinner is something all moms typically strive to do every day, right? Yet, we are busy, and we have deadlines and school; and some days we just don’t do it. If this is you, and more often than not you are finding yourself 30 minutes before dinner with nothing planned, you may want to consider looking into meal planning. 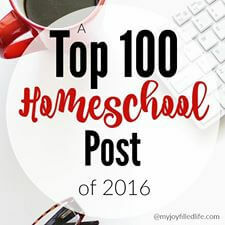 This has by far been the biggest help to me as a work-at-home, homeschool mom. I balked at the idea of meal planning for a long time, but when I finally gave in, I was glad I did. To find out more about my meal plan check out this post! 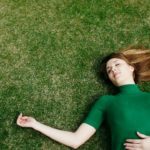 As a work-at-home, homeschooling mom, I have had to learn to give myself grace. Chances are you will too! My home will never be as clean as I would like it. We live here, every day. I will probably always have something on my to-do list, and that’s okay. As moms, we have to learn to give ourselves grace. WE need to realize that not everything HAS to be perfect, and my level of clean and organized may look different from yours. Do we have clothes to wear? 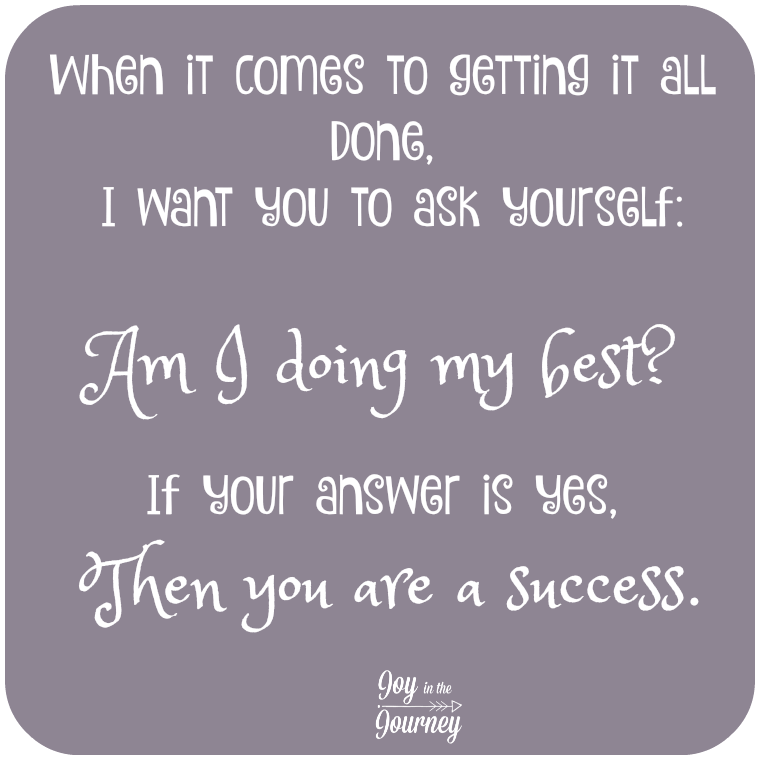 If your answer to those is yes, then you are a success. Don’t beat yourself up. 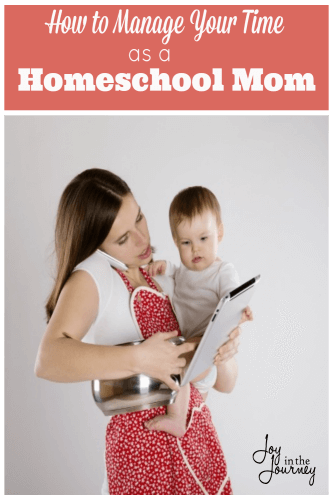 Managing your time as a homeschool mom is something you must do to the best of your ability. And if you do, everything else will fall into place. I promise! What is one tip you have for homeschool moms trying to get it all done? When it comes to education, organization makes all the difference! These are fab tips I can’t imagine how good you have to be on time management and organization. Thanks for your feedback! Aww, thank you! It is super hard, and doesn’t always run smooth, believe me! But, yes, I do think organization helps a LOT! How do I get my 4 year old son to want to do school? He’s a bit advanced, meaning, he knows his numbers, letters, etc. He knows how to add small numbers, even by glancing at them (like on a die or if there are a certain number of items). I try to make it fun, sing learning songs, etc. but some things he doesn’t want to try to practice (writing letters, numbers, shapes, and coloring). I also do daycare so the time we do school is limited to infant’s naptime when it comes to doing something with little pieces or painting, etc. I’d like to get to the point where I don’t need to do daycare and just homeschool our son. If you find the answer to that question let me know! My kids have always “liked” school pretty well, but what kid really WANTS to do school? You know? It sounds like you are on the right track though! Yes! It took a lot of years schooling to finally get this. I am not a natural teacher and could think of a million things I’d rather be doing. I find a routine keeps me focused and on task but having flexibility is important too. I actually do block scheduling (assign three tasks for the morning, three for the afternoon, and three for the evening). For some reason, I accomplish a lot more when I schedule and plan my day this way. It’s probably because it’s more focused and less overwhelming than a big to do list. Thank you for this 🙂 My kids are still preschoolers, but sometimes I find it difficult to manage my time as a WAHM and teaching my kids every day. Thank you. Hey, Misty! I love this post! I was nodding my head in agreement with you as I read it…lol!! I wish all new homeschool moms could quickly take hold of these truths you’ve shared here today. Sharing on my blog fb page!